APA™ Video-Laryngoskop - Leicht. Mobil. Intuitiv. Load Product Flyer Load Scientific Poster! Disposable cover for direct or video laryngoscopy for additional protection against the risk of contamination. Enhanced visualisation of paediatric airways! APA™ is a multifunctional Video Laryngoscope for routine, paediatric, rescue and difficult airways. 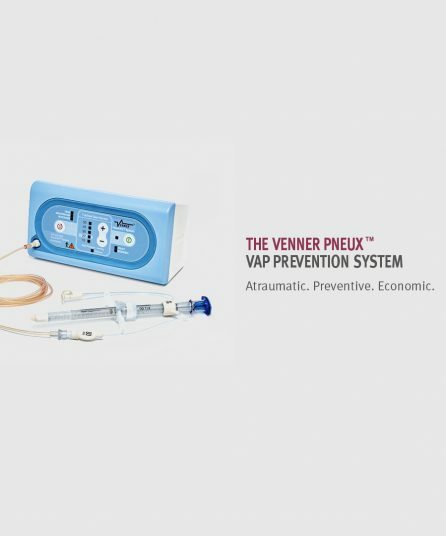 Its multiple interchangeable components permit you to switch between MAC, MIL, Oxygenation and Difficult Airway. 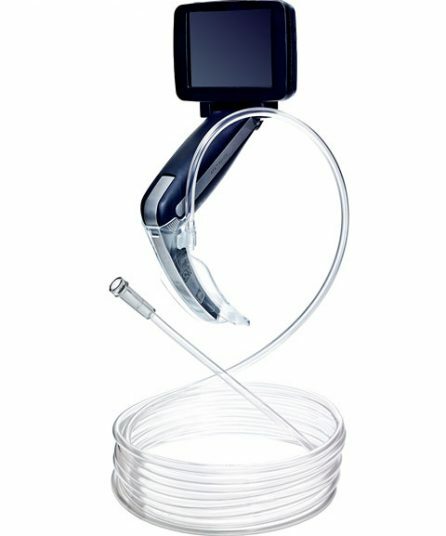 Its interchangable Camera Modules facilitate the switch between paediatric and adult airways on one inuitive device. 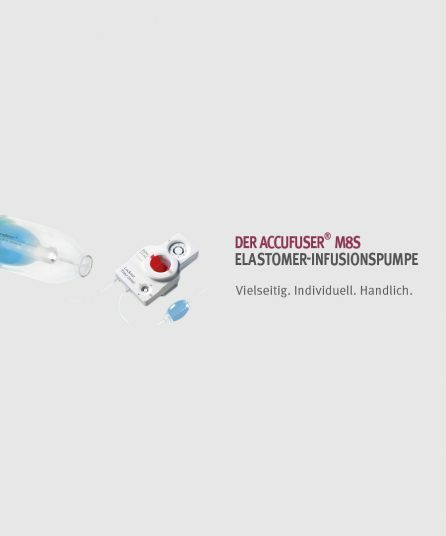 For further information please visit https://www.aamhealthcare.com/apa/. The APA Oxy Blade™ consists of a 4 metre long oxygen tubing and is used to assist routine endotracheal intubation in a similar manner to a standard MAC laryngoscope when additional apnoeic oxygenation is clinically advantageous. The standard video laryngoscopy with the APA™ is intuitive and helps reduce the risk of injury to the airways. Direct laryngoscopy was introduced into clinical medicine almost 70 years ago, and is still the most dominant method being deployed. The development of video and optical laryngoscopy could yet prove the most significant change for this paradigm. Video laryngoscopes are highly promising intubation devices which provide an excellent view into the larynx during and have high success rates during intubation. Video laryngoscopes provide proven levels of higher visibility, and are more convincing during gentler intubation, are simpler to use, and have greater levels of mobility. As a result of this, this technology is the first choice whenever laryngoscopes are deployed. APA™ combines this type of video technology with the intuitive feel of a conventional laryngoscope. This allows the user to transfer his direct laryngoscopy technology and his natural access over to advanced video standard laryngoscopy. 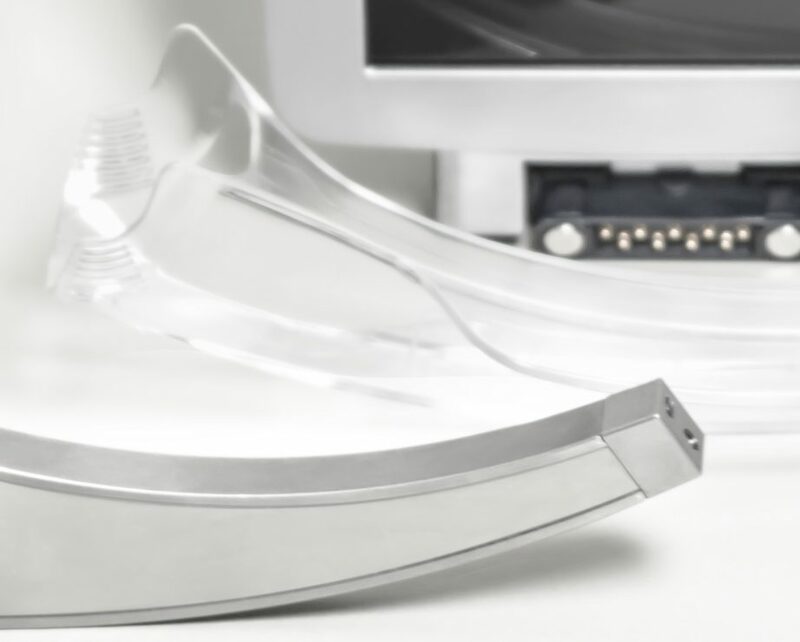 The APA™ video laryngoscope provides a logical step forward from standard laryngoscopy, because it represents an intuitive approach for users with experience in direct laryngoscopy. 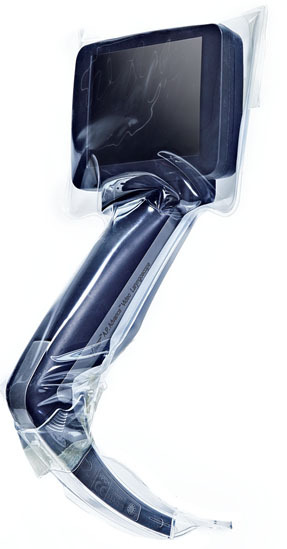 Connect the monitor using the APA™ Handle, and the device turns into a video laryngoscope with a 9 cm display. When used with Macintosh disposable blades (size 3 and 4), the APA™ provides the intuitive feel of a conventional laryngoscope. 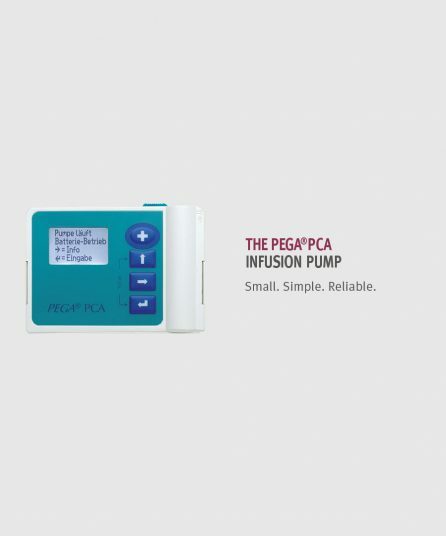 The type of technology which is required for the APA™ corresponds to routine Macintosh intubation. The four types of blade (disposable) come equipped with anti fog coating and have many uses. 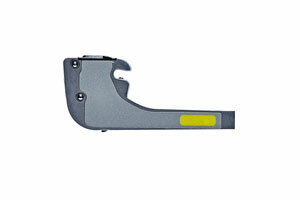 The video laryngoscope can be used for both routine procedures as well as for airways which are difficult to intubate. The indirect view provided by the video laryngoscope requires a minimal amount of effort, and a reduced manipulation of the airways. Both beginners as well as training co-ordinators are able to use the video advanced standard laryngoscopy as a sensible instrument during training sessions. For specific training purposes, the screen can be connected to an external monitor or to a storage device via a video connection. 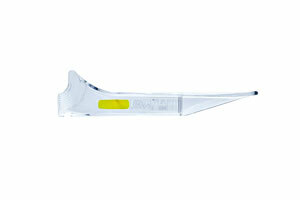 The use of disposable blades minimises the risk of contamination from patient to patient.